Retro Style. Vera Wang tunic blouses. Two Vera Wang Tunic blouses, Simply Vera. Very Retro Vintage style patterns, not true vintage but cute all the same. 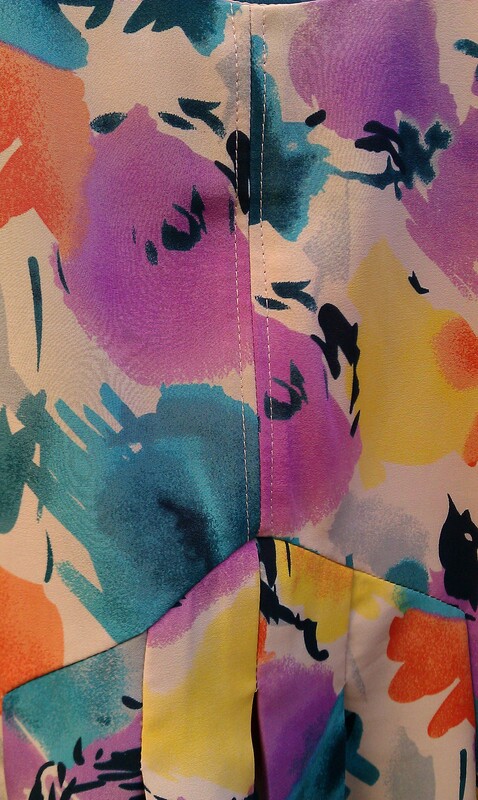 A Lovely Watercolor Floral in teal, orange, yellow, green. 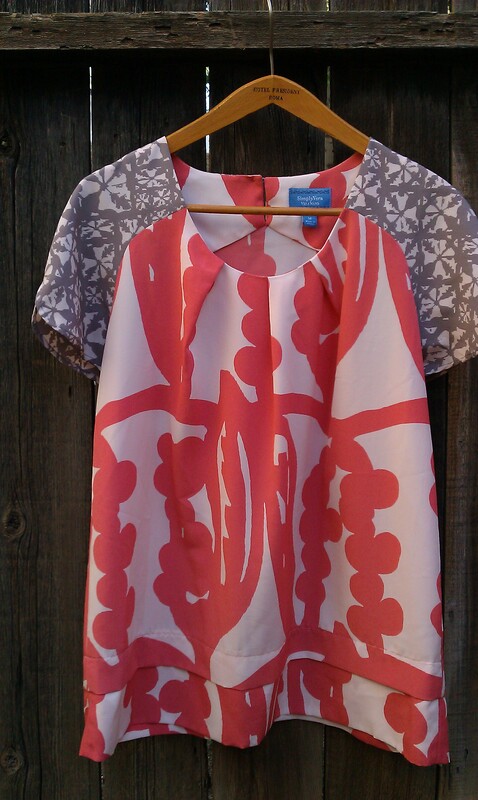 The second is an abstract floral in pink/peach, white and gray. Both are A-line, tunic and flowy. They would perfect for a loos fit blouse or even a maternity shirt. Soft silk like material. In perfect NEW condition, no tags. 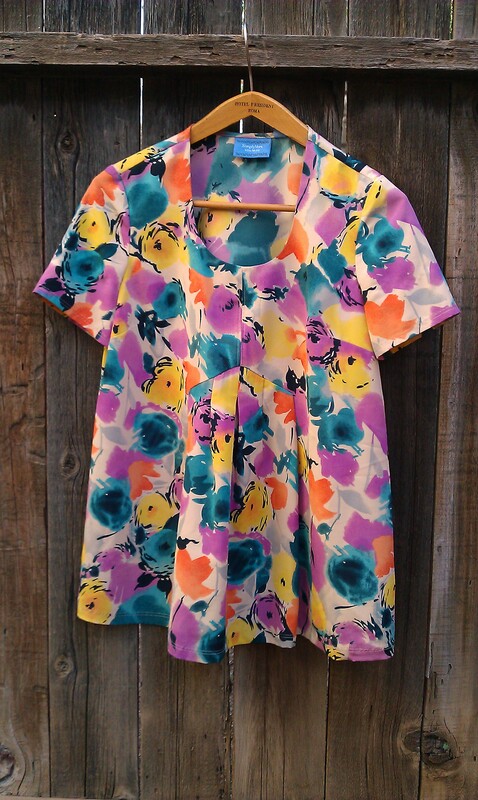 Dimensions: Size Medium, Watercolor floral = 28″ length from shoulder to hem, 15″ shoulder width, 7″ sleeve length. Second shirt: Size medium, 27″ length from shoulder to hem, 16″ shoulder width and 7″ sleeve length. All measurements are from items laying flat. Comments Off on Retro Style. Vera Wang tunic blouses.